The World Health Organization estimates that 422 million people have diabetes worldwide. For many diabetics, constant glucose monitoring amounts to a part-time job that requires regular blood sampling using the pin-prick method - or through continuous glucose monitoring (CGM) systems where an electrode is implanted under the skin to measure glucose levels in tissue fluid. Both methods are invasive, cumbersome and costly. 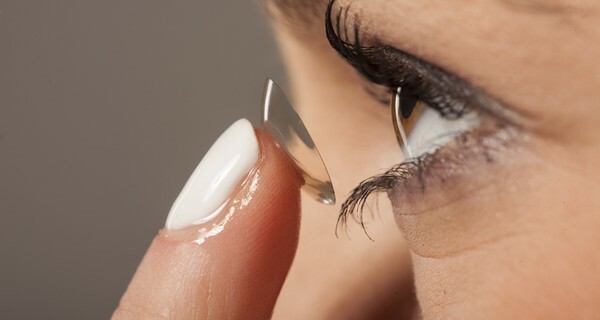 Verily, a subsidiary of Google’s parent company Alphabet, partnered with eye care company Alcon, a subsidiary of Novartis, to develop an alternative solution: a smart contact lens that measures glucose in tear fluid, removing the need for bulky equipment or frequent pin-pricks to collect blood. The aim is to develop a self-powered contact lens that collects data from basal tear fluid (the kind of tears that are always present to wash the eye), transmitting it wirelessly to an app, which can be accessed by the wearer, a carer or a health practitioner. The project is in its early stages and must counter a number of challenges before it can progress to human trials. Firstly, the problem of powering the lens needs to be solved, for example by wireless charging, or through solar power. Secondly, questions around the side-effects of crying or an eye irritation need to be answered. Finally, the cost barrier to creating wireless electronic lenses needs to be lowered. Nevertheless, the project signals a significant move by big tech firms into the health sector, which could modernise health management by incorporating wearable tech with leading health and pharmaceutical products. In the near future, smart contact lenses could be prescribed not only to correct our vision, but to monitor and manage our health.